Cold Cold Go Away. Don’t even think about coming back another day. One of the biggest things I wish someone told me when I became a mom is that my children’s immune system is not strong. Even when I have made sure they have had all the appropriate vaccines on schedule, they are bound to catch a cold. Not only that, because I spend a great deal of time with them, I am bound to get their cold too. Last week my twins got the cold and flu and yes, I also got it too. No amount of washing my hands in between interacting with them and trying to limit my physical contact would protect me from catching their bug. Within 72 hours, I joined in the fun. I remember the last time the twins had a cold, getting their temperature was a workout! Their old thermometer I used was a tricky little bugger. I had to put the cold metal surface in their armpit and have them try to remain calm and in one place for 20-30 seconds before I could get a reading. Those 20-30 seconds felt like 2-3 minutes times 2! Sometimes I would resort to waiting until they fell asleep and I would sneak in their crib to get their temperature, overall it was not easy. This time I swapped their usual thermometer for a new one. 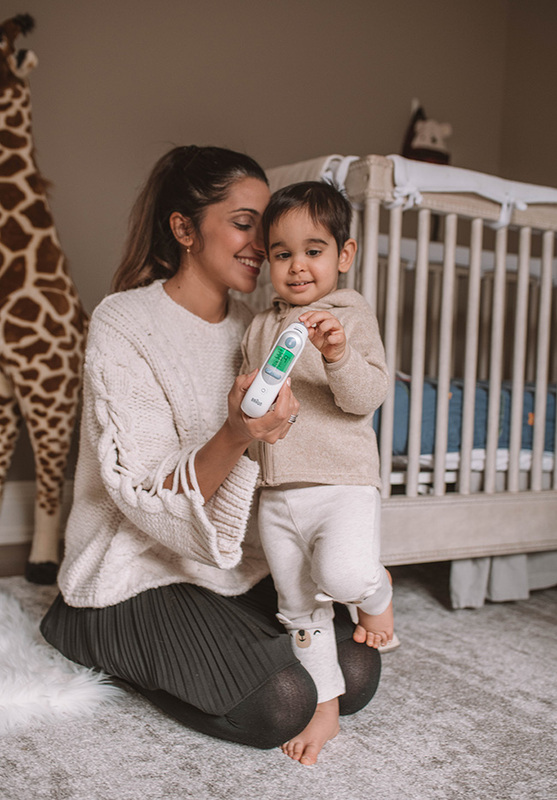 Braun is the #1 brand recommended by pediatricians and moms and the Braun® ThermoScan® 7 Thermometer made taking the twins temperature a breeze! Turn it on, select what age range my twins are at, insert the lens filter, and place it in their ear and less than 5 seconds I had their reading. I didn’t have to wait for them to fall asleep so I can get an accurate reading, I could do it when they were wide awake. PLUS the Braun Digital Age Precision Thermometer is innovative in comparison to other thermometers in the market and extremely helpful! It helped me interpret their temperature reading so I no longer needed to Google the results! Green is Good, Yellow is elevated and Red is …all hands to battle stations. Long story short, I was on Red Alert for the twins and it was a doozy of a week! Thank gosh my Vicks® FilterFree Cool Mist Humidifier and Vicks® Warm Steam Vaporizer arrived on the very day. If you follow me on Instagram, you saw that as soon as I got the package I quickly set up the Vicks WarmSteam Vaporizer and inserted one of the Vicks VapoPads. The pure steam helped add essential moisture into the air mixed with soothing menthol and rosemary scented vapors. With all the coughing, sneezing and running noses I had to deal with from the twins, the soothing vapors were a relief to their nasal passage that was inflamed. 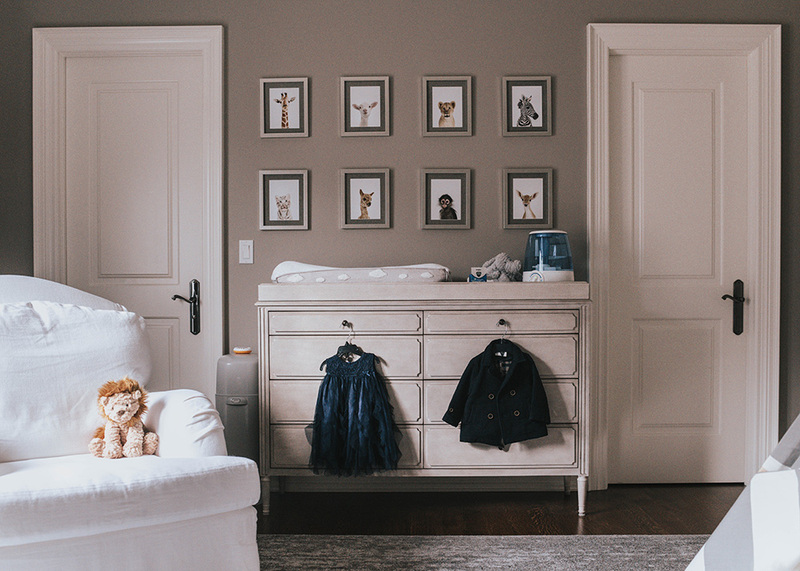 Now my twins prefer their room to be warm and cozy, so I opted to use the Vaporizer in their nursery during bed time. 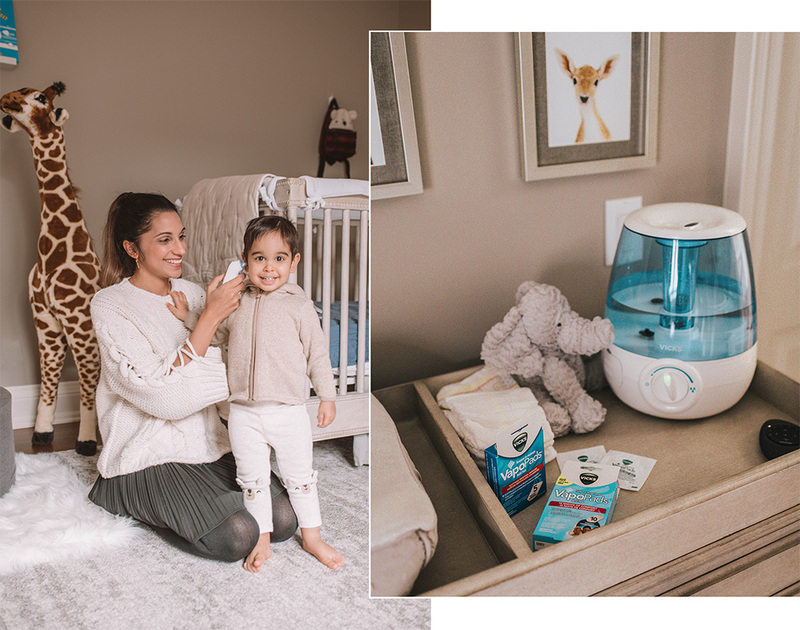 But during the day I would use the Vicks® FilterFree Cool Mist Humidifier to help restore some moisture in the room and provide additional relief to their cold and flu. Plus, because we are the in the middle of cold and flu season and I don’t want us to get this nasty bug in our house again, I will continue using the Vicks® FilterFree Cool Mist Humidifier. It will help protect them from viruses, dry skin, nosebleeds (which happens a lot when the air gets dry) and stuffy nose. Last cold and & flu season, I barely survived (it happened around early March). 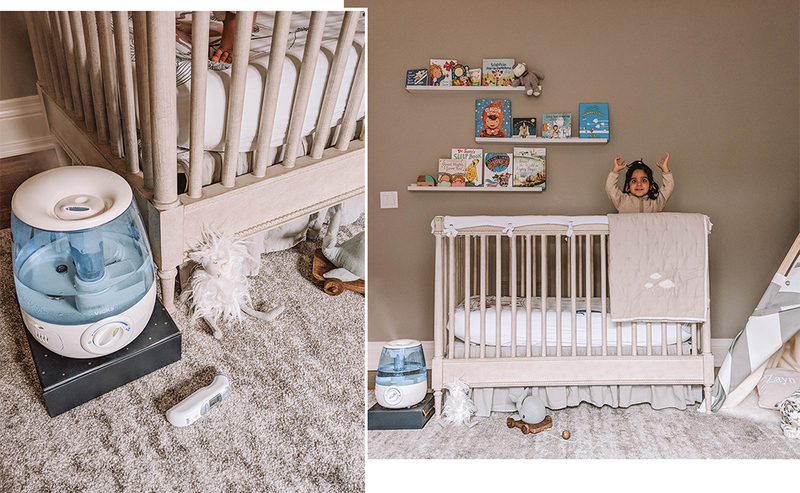 This time, it was a lot better because I had the Braun ThermoScan® 7 make it easy to get and interpret their temperature reading and Vicks® FilterFree Cool Mist Humidifier & Vicks WarmSteam Vaporizer help me introduce moisture into our room to help them fight against the virus. Disclaimer: This post was sponsored by Braun and Vicks but all thoughts and opinions are my own. I also want to say a huge Thank You to Braun and Vicks for being at my aid and partnering up with me at the best time to help make this cold & flu season a liveable one.